Meng Wanzhou, Huawei’s chief financial officer and deputy chair, was arrested in Vancouver on 1 December. China’s embassy in Canada protested at the arrest and demanded her release. 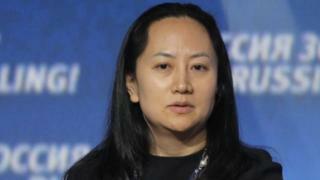 Huawei said it had little information about the charges and was “not aware of any wrongdoing by Ms Meng”. The arrest comes at a sensitive time for US-China relations. The nations are engaged in a trade war that has seen both impose duties of billions of dollars on one another’s goods. In a statement, it said it had complied with “all applicable laws and regulations where it operates, including applicable export control and sanction laws and regulations of the UN, US and EU. It said that Canada, at the request of the US, had arrested a Chinese citizen “not violating any American or Canadian law”.